Lately I’ve come down with a bad case of wanderlust. 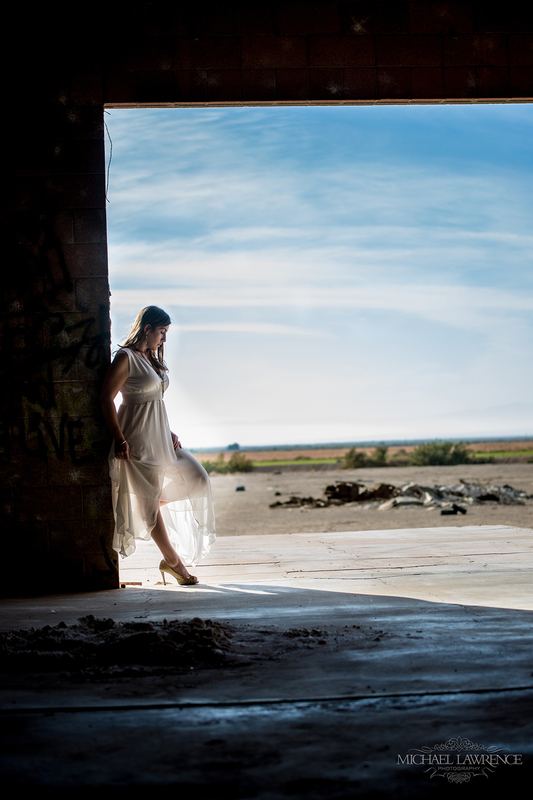 Recently, the desire to just grab my camera and jump in my car had become pretty overwhelming, so I called up two other photographers and shared this idea I had about shooting at the Salton Sea. At first, they thought I was a little nuts, since the Salton Sea is basically an abandoned resort town, but I told them to trust me. I had a vision!! Well unfortunately our model for the day fell through, so I convinced one of my fellow photographers to step in front of the lens for a change. Instead of shooting, Rachele got to try her hand at modeling for the day. When we arrived on location she was still a little confused (after all, why we would purposely leave beautiful San Diego for a place that smelled as bad as the Salton Sea?) Relax! I have a vision! Luckily, Rachele told me she trusted my vision. She then also made sure to inform me that she had told a number of people where exactly where she was going and with whom, just in case. Trust and vision only get you so far, ha ha. Rachele’s trust paid off and we got some amazing images! The Salton Sea isn't a traditional setting for portraits, but it does have an eery beauty all its own. Even though we all need to get a tetanus shot now, it was totally worth it!